Winter weather will be returning to much of the country by Thanksgiving, unfortunately in time for the associated heavy travel. If you've linked to icyroadsafety.com, please send an email to let us know. 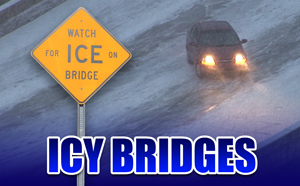 It is still too early to tell how bad the 2009-2010 icy road season will be, as we've got a long winter ahead. But this season's fatality toll is already triple what last year's numbers were at this time. Last November, the icy road toll was at 7 by mid-month - this year, it is at 21. We will likely see some high variability in accident rates depending on snow coverage and the number of freezing rain episodes, so it is impossible to estimate if the higher numbers today are indicitave of what we can expect the rest of the season. We can say with confidence, however, that there is no reason to doubt that last year's toll was out of the ordinary, and this season will likely reach a comparable number unless awareness/preparedness levels increase. Last year, late November (around the 19th to be specific) was when the fatal accident counts began to skyrocket, maintaining a steady pace until the season started to wind down in March. Throughout the winter, fatal accidents happened nearly every day from November 19th to March 11th, with at least 4 or 5 added to the toll most every day. Some days saw death tolls in the double digits, particularly during freezing rain/freezing drizzle events. 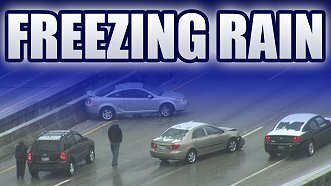 The highest single-event toll was the freezing rain event of December 23-24, when at least 49 people died on icy roads in the Plains and Midwest. We are still working hard on finding funding to expand awareness efforts this winter. As you know, it takes funding to do most anything and this effort is no exception. I currently have a sponsorship plan with a video presentation prepared for any business or organization that wishes to be involved. Simply call or email me for more information.